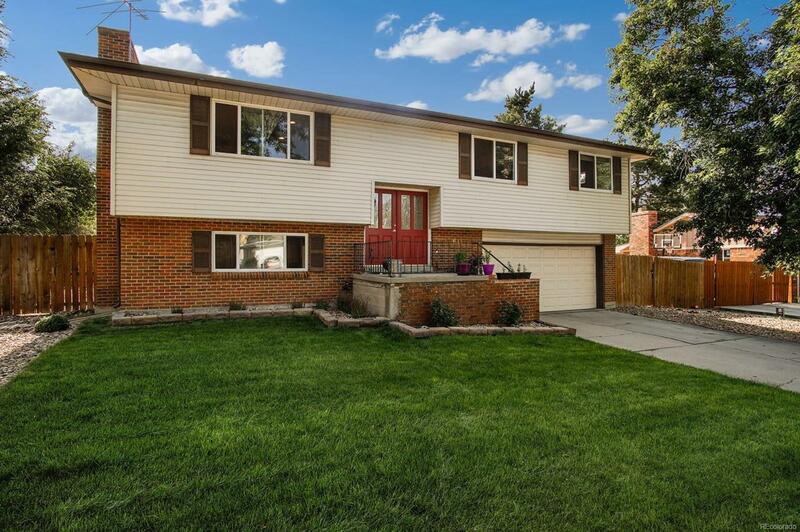 Charming bi-level home in Aurora Hills in the award-winning Cherry Creek School District. Recently updated and remodeled. Sprawling open concept layout with brilliant natural light. Lovely hardwood floors throughout the main level. Spacious open family room flows into the dining room and kitchen. Updated kitchen features granite counter tops, stainless steel appliances, a wine fridge, and modern cabinets. Beautifully updated bathrooms. The garden level has wonderful potential for rental income with an in-law suite complete with a full kitchen, bedroom, bathroom, and a separate exterior entrance. New roof installed in 2015. This home sits on a huge lot at almost a quarter of an acre! The enormous backyard has a deck and a lower patio, perfect for entertaining. Great location close to parks, shopping, and public transportation. Easy access to I-225 and I-70.